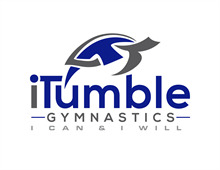 Welcome to iTumble Gymnastics! Please complete the following registration form. iTumble Gymnastics, its coaches, or staff members will not accept responsibility for injuries sustained by any student during the course of gymnastics, tumbling, cheerleading, or in the course of any exhibition, competition, birthday party, special event, or clinic etc in which he or she may participate or while traveling to or from the event, or in the gymnastics parking area. With the above in mind, and being fully aware of the risks and possibility of injury involved, I consent to have my child or children participate in the programs offered by iTumble Gymnastics. I, my executors, and other representatives, waive and release all rights and claims for damages that my child or I may have against iTumble Gymnastics coaches or staff, whether paid or volunteer. I also affirm that I now have and will continue to provide proper hospitalization, health and accident insurance coverage, which I consider adequate for both my child's protection and my own protection. I also understand that it is the parents or guardian's responsibility to warn the child about the dangers of the above mentioned activities and injury that could occur, according to what the parent or guardian feels is appropriate. iTumble Gymnastics coaches and staff will warn the child through "Safety Messages" and their teaching style and progressions. Children must follow all safety rules while at ITumbe Gymnastics, regardless of whether it is a class, special event, competition, or birthday party. We at iTumble Gymnastics recognize our obligation to make our students and their parents aware of the risks and hazards associated with the sport of gymnastics, tumbling, and cheerleading. Students may suffer injuries, possibly minor, serious, or catastrophic in nature. Gymnastics, tumbling, and cheerleading can be dangerous and can lead to injury, paralysis and even death. Parents should make their children aware of the possibility of injury and encourage their children to follow all the safety rules and the coaches' instruction. I agree, I am fully aware tuition is due the first of every month. Auto-pay will draft on the first of the month. Late fees will be posted to accounts on the 8th of the month if tuition has not been paid. One time annual registration fee of $35 is due upon enrollment in August, and pro-rated after that point throughout the year. Notice must be given by the 24th of the month to drop for the next month. IF notice is not given in time, funds will post on the 25th of the month. Drop slips are located at the gym, and an email is sufficient with name of child, current class, current coach, and drop reason. Registration for classes and events requires payment at the time of enrollment to reserve the spot. Events are non-refundable, including Friday Night Out, Parent Night Out, Teen Night Out, Day Camp, and Birthday Parties. Credit Card must be on file for all accounts. If your child is ill, or if there is a family emergency and he/she will miss class, you must notify the front office prior to their scheduled class to be eligible for a make-up class. Please call main number and leave voicemail if no answer. We will return the call and arrange a makeup day. We will make every attempt to schedule all gym closures so that each class still meets 4 times per month. If your child misses a class because the gym is closed, we will schedule a makeup class unless its an observed Holiday. If you schedule your child for a future make-up class you are expected to attend that makup class. In the event you can't come, you must notify us 3 days prior to the event. If you do not provide notice, do not show up to the makeup class, then you will be ineligible to makeup that class again. The missed makeup day will then count as your child's make-up class. Hope you understand we had arrangements in place to accomodate you, but are unable to extend the offer again without 3 days prior notice. I fully understand that iTumble Gymnastics, its coaches, or staff members, are not physicians or medical practitioners of any kind. With that in mind, I hereby release iTumble Gymnastics, its coaches or staff members, to render temporary first aid to my child or children in the event of any injury or illness, and if deemed necessary to call and seek medical help, or the calling of an ambulance for said child or children. In the event of a major medical emergency, emergency contacts on childs' file will be called.